Personnel: partners, members, employees, consultants engaged in the business of the Subscriber, and any other person or persons whose principal place of work is at an office of the Subscriber. the Property PSL Services: the provision of property law information, standard form documentation, supporting standard form documentation, and other property information as specified in the PSL invoice relating to the use of the services. Fee: the subscription fee for the Property PSL Services to be provided under this agreement, as specified in the PSL invoice relating to the use of the Property PSL Services. Subscription Period: a period in respect of which a Fee is payable for use of the Property PSL Services, as specified in the PSL invoice relating the use of the Property PSL Services. 2.1 On agreement by the Subscriber to pay to PSL the Fee, PSL authorises and licences the Subscriber and its Personnel to use the Property PSL Services. 2.3 Subscription to the Property PSL Services is on an annual basis, even if the Fee is paid monthly or otherwise. (c) access the Website while away from the Subscriber’s principal place of work. (c) purport to assign or otherwise dispose of its rights under this agreement. 4.2 The Subscriber agrees to take reasonable steps to ensure that nobody other than Personnel accesses the Property PSL Services using the Subscriber’s username and password. 4.3 The Subscriber acknowledges and agrees that PSL owns all intellectual property rights in the Property PSL Services. Except as expressly stated in this agreement, this agreement does not grant any intellectual property rights or licences in respect of the Property PSL Services or any related documentation. 4.4 The Subscriber is responsible for configuring its information technology resources in order to access the Property PSL Services. 5.1 PSL will use all endeavours to ensure that the Property PSL Services are provided continuously and that access to the Website is not interrupted by any event within its control. PSL will notify you in advance of planned downtime, which, if reasonably practicable, will be scheduled outside normal office working hours. 5.2 PSL endeavours to provide the Property PSL Services at all times in a professional manner and to current best practice standards. PSL will use its reasonable endeavours to maintain the Property PSL Services up to date and to develop the Property PSL Services to meet the needs of subscribers generally. 6.1 PSL may change the Subscriber’s password from time to time. This is simply for security reasons. PSL will not do this without simultaneously notifying the Subscriber. 6.2 PSL may change part or all of the Property PSL Services at its discretion. However, PSL will use all reasonable endeavours to give notice of changes to the Property PSL Services by way of news feed on the Website. (d) whilst every effort is made to present up-to-date information, the Property PSL Services include a range of archived information and resources which may become incorrect or out of date. 6.4 It is the responsibility of the Subscriber to ensure that the Property PSL Services and their mode of delivery are compatible with the Subscriber’s software or computer configuration. (c) any representation, statement, act or omission arising in connection with the provision of the Property PSL services. (c) the total aggregate liability of PSL to the Subscriber arising in connection with the use of the Property PSL Services is limited to the price paid for the Property PSL Services during the 12 months preceding the date on which the claim arose. 7.3 PSL has no liability if it is prevented from or delayed in performing its obligations under the agreement or from carrying on business by acts, events, omissions or accidents beyond its reasonable control, including without limitation default of sub-contractors, strikes, lock-outs or other industrial disputes, failure of a utility service or transport or communications network, act of God, war, riot, civil commotion, malicious damage, compliance with any law or governmental order, rule, regulation or direction, accident, breakdown of plant or machinery, fire, flood or storm. (b) on 21 days’ written notice, if the breach is capable of remedy, and is not remedied within the 21 day period of the notice. 8.2 If PSL is in material breach as a result of circumstances within its control, the Subscriber will be entitled to a refund of a proportionate part of the Fee. 8.4 Termination does not affect or prejudice the accrued rights of the parties as at termination, or the continuation after termination of any provision expressly stated to survive or implicitly surviving termination. 8.5 On termination, except where 8.2 applies, any part of the Fee then outstanding is to be paid by the Subscriber within 14 days. 9.4 If any invalid or unenforceable provision would remain valid and enforceable if some part of it were deleted, the provision will apply with such modification as is necessary to give effect to the commercial intention of the parties. To gain access to the documents and precedents on the site, please consider joining us. Title & Covenant Brokers Ltd Independent specialist legal indemnity insurance brokers. 3rd World Hope works in co-operation with disadvantaged communities in Africa to tackle poverty and malnutrition and create a safer environment in which children can live. 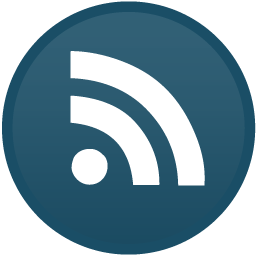 Get notified of all new content from Property PSL by subscribing to our RSS feed. Vigour 800 é a segunda versão do produto Vigour. Vigour, é um conhecido suplemento natural que atua como um estimulante sexual ao proporcionar uma erecção intensa e prolongada.